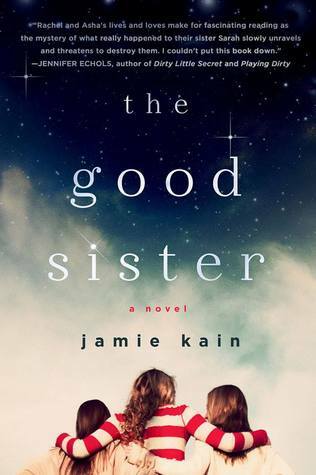 The Good Sister by Jamie Kain – The Kinsey sisters live in an unconventional world. Their parents are former flower-children who still don’t believe in rules. Their small, Northern California town is filled with free spirits and damaged souls seeking refuge from the real world. Without the anchor of authority, the three girls are adrift and have only each other to rely on. 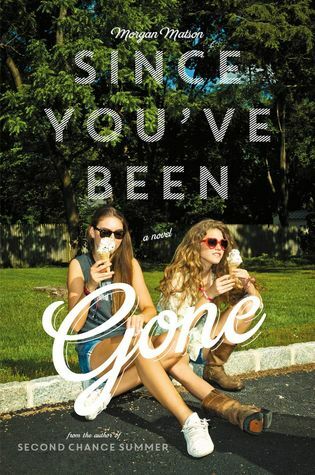 Since You’ve Been Gone by Morgan Matson – The Pre-Sloane Emily didn’t go to parties, she barely talked to guys, she didn’t do anything crazy. Enter Sloane, social tornado and the best kind of best friend—the one who yanks you out of your shell. But right before what should have been an epic summer, Sloane just… disappears. No note. No calls. No texts. No Sloane. There’s just a random to-do list. On it, thirteen Sloane-selected-definitely-bizarre-tasks that Emily would never try… unless they could lead back to her best friend. Kiss a Stranger? Wait… what? Getting through Sloane’s list would mean a lot of firsts. But Emily has this whole unexpected summer ahead of her, and the help of Frank Porter (totally unexpected) to check things off. Who knows what she’ll find? 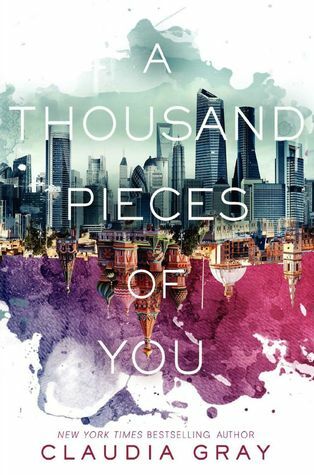 A Thousand Pieces of You by Claudia Gray – Every Day meets Cloud Atlas in this heart-racing, space- and time-bending, epic new trilogy from New York Times bestselling author Claudia Gray. What I thought – Ok, I just read about the whole trilogy thing..I had no idea! Cool beans. I liked this book. It had an interesting story. Again, I am sure there are some out there with a sort of similar storyline, but I did enjoy the way this one was told. The characters were described well too. I am looking forward to the next in the series! 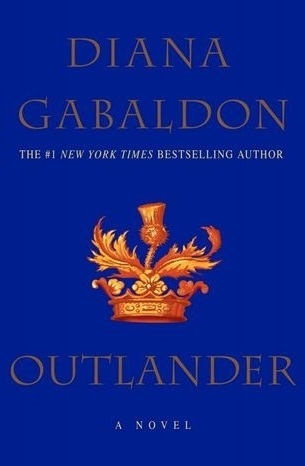 Outlander by Diana Gabaldon – The year is 1945. Claire Randall, a former combat nurse, is just back from the war and reunited with her husband on a second honeymoon when she walks through a standing stone in one of the ancient circles that dot the British Isles. Suddenly she is a Sassenach—an “outlander”—in a Scotland torn by war and raiding border clans in the year of Our Lord…1743. Team Us: Marriage Together by Ashleigh Slater – What are you agreeing to when you say “I do”? When a couple promises “I do,” they agree to more than just a shared last name, a joint bank account, and no more dateless nights. This husband and wife duo forms a new team. “Life together” becomes their mantra. Nothing can come between them. At least, that’s the plan. But then real life sets in. With it come disappointments and frustrations. If the couple isn’t intentional in their day-to-day interactions, that once enthusiastic “we” can slowly revert to “you” and “me.” Before long, the couple’s left wondering what happened to their team spirit. 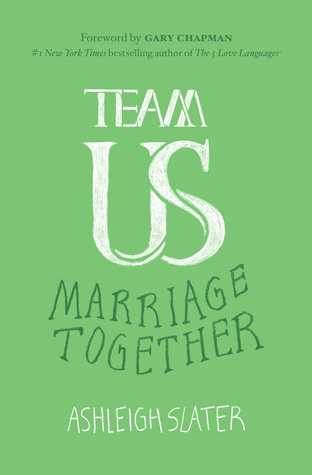 Team Us: Marriage Together offers couples practical ways to cultivate and strengthen unity in their marriages. Author Ashleigh Slater shares from her own marriage as she presents couples with realistic ideas on how to foster cooperation, deepen commitment, and exercise grace on a daily basis. Ok, so that sums up what I read! Now you know which book was the one that took the longest, lol. I really want to read the next one in the series, but I might just take a break on this months. February is so short, so I think I will stick to shorter books. And the emotional toll that book takes on a person too! Sheesh.. Yes, maybe March would be better, lol.